New-York-based noise rock quartet Kite Operations will be performing at their CD "Festival" Release Party this Saturday. The bill features a number of K.O. 's friends and compatriots from San Francisco, Boston, Chicago, and Virginia (yours truly will be performing with her duo Grapefruit Experiment. Their new disc Festival - noise charged with emotional depth and beauty - is put out by Actually Records. They describe the sound of Festival as the following: "Filled with visceral noise spirituals, ‘Festival’ is a joyous exaltation for the no-wave set; an exhilarating testament to the band’s ability to infuse dissonant experimentation with the emotionally incisive." 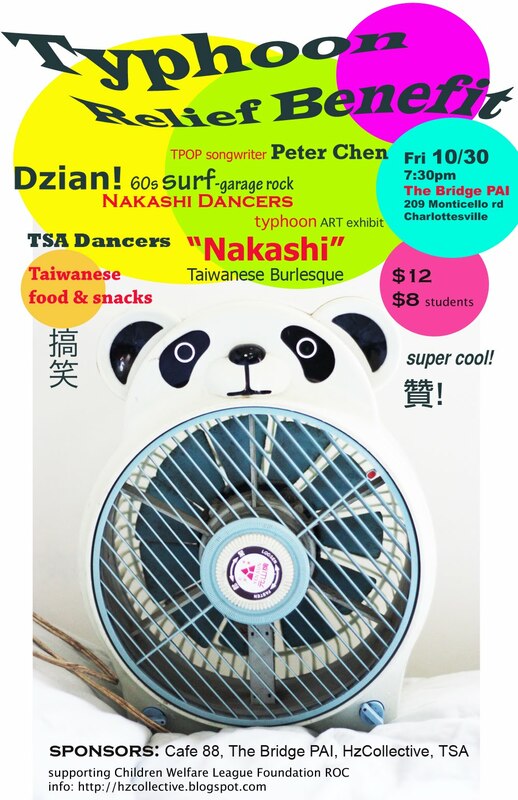 "Nakashi" Typhoon Relief Benefit Was A Success!